Stonehill College is building a suite of graduate programs, which began recently with a master’s degree program in integrated marketing communications and a special education master’s degree program. The Master’s Degree in Special Education Program results in a license in moderate disabilities PreK-8. More than that, it equips students with the skills and knowledge to design learning environments that promote inclusivity. Conveniently offered in the evening, our graduate courses are highly personalized to connect our students with their specific goal. At Stonehill, we strive to educate both the heart and the mind by fostering the development of compassionate leadership skills to achieve each individual’s goals. The Master’s Degree in Integrated Marketing Communications Program is an interdisciplinary program combining the expertise of the College’s communication, marketing and graphic design faculty with the resources of the Meehan School of Business. 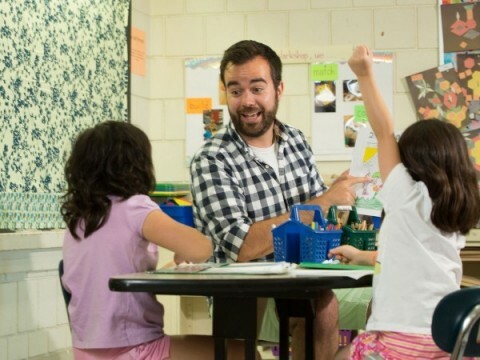 The Master’s Degree in Special Education Program, leading to an initial license in moderate disabilities PreK–8, allows students to acquire the requisite content knowledge necessary to become exemplary classroom teachers.